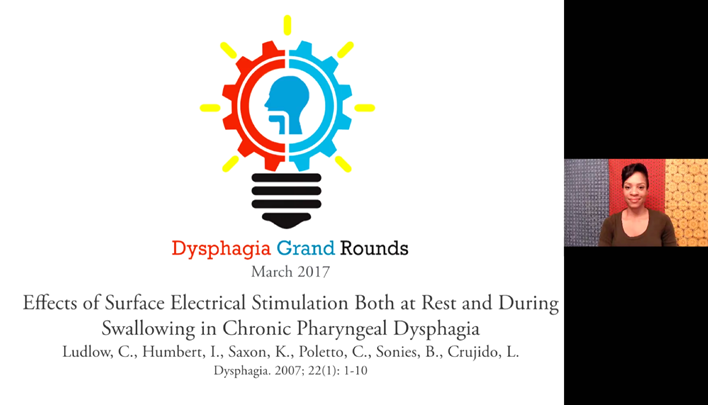 We tested two hypotheses using surface electrical stimulation in chronic pharyngeal dysphagia: that stimulation 1) lowered the hyoid bone and/or larynx when applied at rest, and 2) increased aspiration, penetration or pharyngeal pooling during swallowing. Bipolar surface electrodes were placed on the skin overlying the submandibular and laryngeal regions. Maximum tolerated levels of stimulation were applied while patients held their mouth closed at rest. Videofluoroscopic recordings were used to measure hyoid movements in the superior-inferior (s-i) and anterior-posterior (a-p) dimensions and the subglottic air column (s-i) position while stimulation was on and off. Patients swallowed 5 ml liquid when stimulation was off, at low sensory stimulation levels, and at maximum tolerated levels (motor). Speech pathologists blinded to condition, tallied the frequency of aspiration, penetration, pooling and esophageal entry from videofluorographic recordings of swallows. Only significant (p=0.0175) hyoid depression occurred during stimulation at rest. Aspiration and pooling were significantly reduced only with low sensory threshold levels of stimulation (p=0.025) and not during maximum levels of surface electrical stimulation. Those patients who had reduced aspiration and penetration during swallowing with stimulation had greater hyoid depression during stimulation at rest (p= 0.006). Stimulation may have acted to resist patients’ hyoid elevation during swallowing. 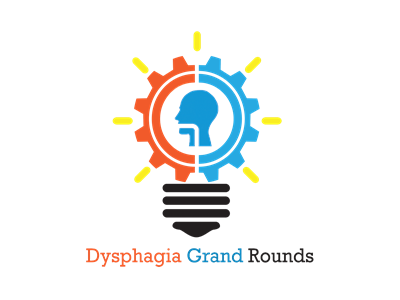 In this webinar, Dr. Ianessa Humbert discusses the DGR 3 research article 'Effects of Surface Electrical Stimulation Both at Rest and During Swallowing in Chronic Pharyngeal Dysphagia' in detail; teaching clinicians how to appraise this research paper critically. What are the physiological effects of surface e-stim on the hyoid and the larynx? Does sensory stimulation have an effect on swallow function in patients with dysphagia? She concludes by answering some of these questions posed by dysphagia clinician Rinki Varindani Desai, discussing the clinical relevance of this study and its applications.